We will accept advertising on this site, on your choice of page(s) at $50-$150/year, in the right-hand column of the pages. Primary pages have the most traffic: ($100-$150/yr). These are the Shows page, and each of the states' pages carrying event listings. We have the right to refuse any advertisement or link for any reason, including inappropriate matter for this website or non-payment of bills. 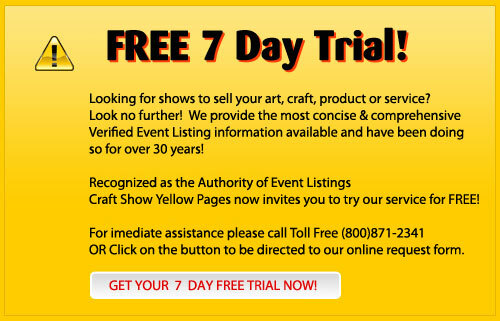 Appropriate content would be craft-industry-related, such as art/craft supplies, small-business services, etc. A small graphic (up to 200 wide x 400 high) with text will be considered. 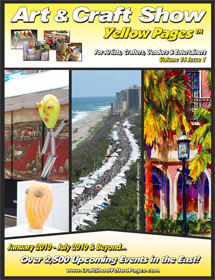 For information about display advertising rates in the quarterly show directory, please click here.